"Used to LOVE ToutApp for Pipeline Management!" I like the ability to create a template for my most commonly used eMail messages and syncing it with my outlooks. I also like building and delivering targetted campaign messages and tracking views and clicks on links. They won't allow me to talk to anyone on the phone and tell me it should be working fine. I send multiple emails with screen shots and they never agree to talk to me. I am not sure why, but they don't care about me or my business. I don't know that I can recommend it. I have an enormous contact list in Salesforce that I need to keep massaging until opportunities bubble up. 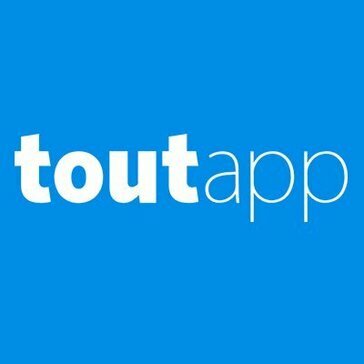 "Great efficiency enhancer, super convenient tool"
Tout app has an extremely easy setup and is a huge efficiency enhancer. I love being able to see whether or not a prospect is opening my email (helps me judge the effectiveness of my email titles), and being able to track how effective my email campaigns are as a whole. This is an awesome tool to add groups of low-value prospects into a campaign so I can focus my time on prospecting into my bigger accounts. Get it. The only downside is the extensive load times. ToutApp allows me to a) understand the effectiveness of my emails and b) streamline prospecting to large groups of low-value prospects. I do like that you can create campaigns and templates that you are able to send and track. The calls don't log in SFDC. Having an unsubscribe link in your email signature shows that it is a campaign email. The plugins pop up all over the place. I can get false positives when I open my own emails or when a colleague opens one. Local Presence calls are a black hole and do not come back to me. It is definitely going in the right direction, although not all there. I would consider looking at a number of tools on the market to see what makes the most sense. In some cases, this may be all you need. It gives me an increase in visibility in the Sales process and what some of my contacts are doing. "A must have for any Account Executive"
There are 2 things I use daily with ToutApp, the ability to see who is looking at my emails in real time, and the templates system. The ability to see email opens in real-time has helped me secure many deals. I reach out when a prospect is looking at the email because I know it's on their mind and it makes the conversation much smoother. Also, the templates are super handy and available right in my Gmail inbox. I really cannot think of much I dislike about the system. I use the SalesForce integration for sending bulk emails as well as syncing my emails that I send directly into the opp in SalesForce. If you are an AE and want real insight into your opps from an email level it is a must have. There a few that I am solving with ToutApp. 1. I am able to see what my prospects are doing with the data I send them in realtime which really helps with understanding how interested they are in my offerings. 2. I am auto logging all of my emails to the correct opps in SalesForce which helps with not haveing to do that manually. 3. I am able to send a targeted blast email usually about once a month when I need to. "Good for high volume, not necessarily for view response"
Its cool to see the data of how many times an email was viewed, when and such. but the connectors that communicate with our salesforce need some work. Over 4-5 months i had personally sent 10's of thousands of emails through tout and only generated 2-3 meetings from it. I feel, mostly due to the emails sent through tout go out of a different server than regular emails and get captured by firewalls and spam filters more easily. for reasons stated above, the viewership was a lot less than hoped for. Find out about sending mass emails and how their viewership is determined. I think the majority of the emails i sent ended up in a spam folder. Fortunately it does not take long to set up campaigns, but they need to get their emails past spam/junk filters on the receiving end. Mass email communication, scheduling email campaigns, reaching large audience. "Not intuitive or user friendly at all"
It is easier than sending emails one by one, however that is not a huge step up. The tool is cumbersome, and frustrating at times. I am both computer savvy and no stranger to marketing tools, and I would say Tout ranks relatively low when it comes to ease of use. It is very difficult to navigate and you can only email a limited # of recipients at a time, which means you have to do your blast in batches. It also is very clunky. I spend more time trying to figure out how to use the tool, than I do seeing any measurable results. Nowadays as a consumer we expect software to be intuitive and somewhat predictive (think of the Netflix and Spotify model). There is nothing predictive or intuitive about Tout. Really dig into the level of support your users will receive, and ask about where the product is headed. Also, ask for a sandbox and have a variety of field users experience the software and give feedback. The goal is to set up campaigns and mass communications to my prospects via Tout. I personally think that doing a mass email via SalesForce is much easier than Tout. What I like most about ToutApp is it's ability to schedule email campaigns with multiple emails days in advance. It can get quite detailed and makes every email seem very personalized. Two things I dislike are both the analytics and the overall "clunkiness" of the UI/UX. Both seem to be very glitchy at times and within the analytics, it does not get very customizable. You can only see up to a specific level. If you are looking for a good software to help your email automation issues as a small team, it's perfect. I would recommend something different if you are not using Salesforce, or want the premium experience with UX/UI, support and analytics. They do lock you in for a year with a contract. We are solving our small sales team problem. I am the only SDR in the company and Tout helps me manage, send and follow up with many of my leads automatically. "ToutApp - nifty addition to social media accounts"
ToutApp provides insight and useful information on potential clients and prospects, and provides up-to-date information in apps like Gmail & Salesforce, and integrates into some of their basic functions. If you have adopted Google Mail as your primary communication tool, ToutApp is a wonderful addition to it for sales people who prospect on the Internet. ToutApp provides a number of useful pieces of information about prospects and clients that help me identify decision makers for business I'm trying to penetrate. Prospecting is more efficient with ToutApp, especially if you integrate it so information passes seamlessly between the various apps. "Getting better all the time"
The Command Center si my favorite feature. It makes it quick and easy to plan your work. I also love the Live Feed. Getting real-time visibility of activities, without toast notifications is fantastic. The campaign function is easy to use and is adding more logic options all of the time. Overall ToutApp is a good, solid email productivity. The dialer has really improved over time and works very well for my team. The web analytics are not very useful. The lack of lead scoring and integration with our marketing automation tool to accomplish a cumulative lead score is a detriment. I also wish the email visibility was as deep as Clearslide and SalesLoft. For example, when someone forwards your email, ToutApp records that as an activity. With other tools you see who it was forwarded to, which is valuable insight. ToutApp's generic approach to activity scoring, where everything is counted as 1 instance equally is a real drawback. For example, if someone clicks on your email each morning as they scroll their inbox that reflects much activity. When in reality they aren't doing much with your email. If you want an easy to use, streamlined email productivity tool with the best dashboard we have found yet this is the tool for you. We use ToutApp primarily for campaigns and one-to-one emails. Seeing the analytics for our campaigns has been useful in helping us refine our messaging and approach. -Rep activity quality & activities with a purpose: If reps are spending a considerable amount of their day outbound/inbound prospecting and half of that time is emailing...well then, those emails better be pretty damn good. And you don't know what good is unless you have me writing them or you have analytics. So imagine what the results are when you combine both? You guessed it. A ton of meetings from emails. "Great for monitoring when emails are opened"
I use the chrome extension which makes it easy to see when a prospect or client opens one of my emails. I dislike that I'm not able to stop tracking an email. There are some emails which I sent months and months ago, which the client opens several times a day; I wish I could stop tracking those specific emails. I use strictly to monitor if/when my emails are opened by clients and prospects. This has been very useful in my sales efforts. I use this to see if my emails to clients and prospects are being opened or not. If they are not being opened then I may have the wrong email address, or the person might be out of the office. If they are being opened frequently then I know that the prospect/client is interested. The interface is clean and easy to navigate, it integrates easily with Salesforce and Gmail, and it has everything you need it to have (tracking, templates/campaigns, integrations, tasks, analytics). Its features are limited compared to other tools in the space, however you're getting what you pay for. It's half the price of Salesloft and Outreach. It's slightly less feature rich than Mixmax (Mixmax offers really slick automated actions based on conditions and logic that Tout does not) but when replying to and sending messages through gmail, Tout is faster in my experience. does the basics very well, but if you have a full team of SDRs and a more sophisticated sales process (many stages, larger enterprise selling) you might want to look at a more comprehensive tool. Helps my team and I reach out to 1000s of potential customers every quarter and close hundreds of additional deals every year that just simply wouldn't be possible without an email tracking tool. I love being able to see when an email is opened because it leads to me make better decisions on when to follow up with them, as well as, it helps when you are trying to lock down a deal! I like the individualized templates because when you are sending a mass-email, you still want to add a certain personal touch to those contacts whom you know better. It is also very easy to do! It has great analytics feedback so that me and my team could know which emails are working and which are not. Lastly, it makes daily scheduling MUCH faster and it automatically logs in Salesforce. One less thing for you to do! I have seen that prospects sometimes complain that links don't work. It is weird because sometimes the links work and sometimes they don't. Also have gotten complaints that sometimes when prospects respond as "unsubcribe me" from the campaign, Tout won't remove them and will keep sending email to them. Lastly, it can be slow at times, leading to Salesforce and Excel to not always load. Biggest problem solved is the real time analytics gotten from campaigns. It is extremely helpful to know how engaged the prospects are with your content. It is a great prospecting tool. Also by being able to send personalized emails to a couple hundred prospects, I save time. I loved the simplicity of ToutApp. From a sales perspective, I could set up the emails I typically send as a template, and then right from Gmail I could pull them up and send. It saved me a tremendous amount of time during prospecting. The analytics it included were ok, but nothing you could completely rely on. I'll cover that in my dislike section. But the ability to also be able to mass email (up to about 25 at a time worked well) was great too. All in all, the simplicity of Tout made it awesome for a sales guy like me to use. Our Account Manager< Jennifer Nordine, was awesom. Very helpful and very responsive. Scheduling emails was also a great tool to have. I didn't use the automated cadences too much because it wouldn't automatically stop the cadence if they replied. The analytics weren't great, but it's not really Touts fault. The issue was that if people had their images turned off on their email, then Tout couldn't recognize the open because the "pixel" wouldn't load. Again, that's not a Tout issue, that's going to be true with them all. When we did see an "open" come through it was really great knowledge to have. We also noticed issues with the replies not always counting, or counting multiple times if a thread went back and forth. I didn't use the reporting function much in it because of all this, but knowing the issues, you could derive some learning from it since it is consistent. The only other dislike would be in mass sending. Uploading more than about 25 names/emails at a time would freeze up the system. Easily worked around by uploading smaller batches, and not a big enough problem for me to not recommend. Their tech support leaved a little to be desired and we heard the same canned response many times. Use it. It wasn't perfect but I'd imagine by now they've solved a lot of the issues. It was a really great, low cost and simple solution and we were much more efficient with prospecting across the board. Faster, easier prospecting with more consistency across the sales team. "Feature rich email automation platform"
A few of the things that stand out to me about ToutApp: Automatic emails have generally clean formatting (so long as you set up your email correctly), The local presence calling feature is excellent and very helpful for getting prospects on the phone. Lastly, email campaigns are very useful for doing more work with less. ToutApp as with any startup(ish) software company has fairly poor customer support. You cant call anyone and you have to rely on slow email. MAke sure to get trained on it and watch the videos. Use all the features it offers. We are able to do more outreach to customers that we would have been able to do otherwise. "Tout Gets the Job Done"
Tout is good for making calls and using local presence. I also enjoy the Live Feed. Sometimes tout can take a long time to load up and when you finish a call it sometimes still says you are on a call so you have to refresh the page to make another call. Just cumbersome. Tout makes prospecting more effective because of local presence. I love the ability to create & use email templates within Tout. I'm not crazy about the the campaign functionality. It doesn't feel very intuitive and I wish it were easier to track who has & hasn't responded to emails within a campaign. Perhaps I was missing some insight in this particular area but, I've used other tools that were much clearer in regards to the workflow. Tout helps us email potential & current clients much quicker. "Difficult to Admin, Difficult to Work With Support"
I like that it is very simple to set up drip campaigns and share them across our team. It is very easy to use and syncs well with Salesforce. It is very difficult to get a hold of support reps when needed and they seem very disorganized. I think this is because they were purchased by Marketo and have limited support. Also, there is no good dashboard or analytics tool that I can use to review the activity of the entire team. When I called to upgrade my account to potentially access those types of features, they simply tried to sell me Marketo. I think that they are sunsetting this into a feature of marketo. We use it to send personalized drip campaigns from within gmail that are semi-automated but that stop when a user replies. And to set reminders for outbound calls. "No real customer support, discontinued my plan without telling me"
I used to love this app. Have had it for five years. Talked about it to everyone. Then I started to have problems a few months ago. Couldn't paste information into a template. They said I had more templates than my plan allowed. I deleted a bunch. Still didn't work. Today I come to find that all of my customer lists have disappeared! Shows the name, but no people. Looked at my billing information and apparently, my plan has been discontinued and the new plan is $20 a month more. Sadly, they did not inform me about any of this AND KEPT BILLING ME MONTHLY. Everything. Tech is iffy, nonexistent customer support. I don't know what happened here, but technical problems and poor customer support. I used to love this app. Now, no benefits at all. Very sad. Beware. After 3 attempts to contact their sales team to demo their enterprise software, we decided to move to another company. I would have more response from a fence post... Upon canceling our month to month subscription Tout immediately shut everyone out of their accounts before our current billing period was over?! I messaged the support team who were responsive but they only reactivated my account, not the rest of the sales team. After multiple emails last week Tout went dark on me and come this Monday they've shut me out. Plenty of other options out there with much better customer service. Pushing activities into Salesforce. Email tracking and analytics. Cons outweigh the Pros! It's simple & straightforward - does the trick if you're looking for something to just track an e-mail or house templates. It's unreliable. It's often down because of problems on their end. Makes you log-in frequently - small point, but it's annoying when you're in the zone. It does not automatically log incoming e-mails. The send later feature has failed on me a few times. Yesware is more expensive, but worth it if you have the budget. A great piece of Yesware is that it allows you to work just out of Gmail/ and puts SFDC in your Gmail window - saves a ton of time bouncing between tabs on your browser. e-mail tracking, templates, monitoring engagement, etc. How simple it is to create a group and upload a CSV into that group. Love the live feed in my gmail so I have peace of mind that a client has received my email and can refer back to it when on a call. Sometimes it pops up that I have too many groups...but my colleague has far more. When I log out and back in the problem seems to have gone away. Besides a few bugs like the above I have no real dislikes. Gives me more time to focus on the people I know who opened my email and clicked through, rather than waste my time bothering with folks who decide to just delete my email. The ability to setup personalized campaigns, as if you are your own marketing department. This allows you to spend more time on the tasks that will help you make your number. The system can get very crowded with sharing emails/campaigns/templates/analytics. It is sometimes difficult to decipher what is working across the teams. Utilize your Account Manager and training as much as possible. Tout's updates go out automatically and can take you by surprise if you have not kept up to date on release cycles. Automating some of the outbound prospecting activities. Organizing outreach timelines and standardizing that approach across the SDR team. "Great app in theory - but not so accurate in reality"
The most part - if you are able to forgive the above: The tracking information is wrong almost 35% of the time. It sometimes says read when the person has not read the email and similar. This issue might be slightly out of toutapp's control as it depends on the email server receiving the email. But my point is - you spend all this money and the system may not be accurate 35% of the time. Try out the app fully, test the tracking ability for your industry - make sure it works well with the type of clients you mostly email. The template management system is good, the toutapp team are always trying to improve but thinking long term many CRM's are incorporating what toutapp does - so maybe your CRM might already have email tracking and lead analytics. We were one of the early users of this software so maybe most of my issues have now been resolved. The CEO was a helpful chap in the early days he would get on to technical issues via skype. This says a lot about their dedication and commitment. Tracking emails to leads, timing calls well. Getting the sales team to be on top of the game by being able to monitor their own activity. Monitoring overall email engagement and success with templates. My objectives were reached which is why I rate toutapp 6 out of 10. "From Salesloft to Toutapp- Upgrade for sure!" The first thing I noticed compared to other products like this, such as Salesloft, was how fast and smooth this was. there wasn't any lag time like the others. I also loved how nicely Toutapp integrates with Salesloft and Gmail. The layout and interface of all the data is very simple and easy-to-use, making for a great user experience. I also am able to analyze the metrics and results of my email campaigns. I love how Toutapp allows me to organize the metrics by email campaign and also by template. There isn't much I dislike about Toutapp, but there are some features that can be added or modified that would increase productivity. 1. I would like to see the email replies from my leads and contacts added to Toutapp somehow, because this would allow for a more centralized experience and reduce the amount of time I have to spend switching to other apps. 2. Another feature that would increase performance and save time is adding the ability to see leads' phone numbers in "conversations > sent > columns to display". All that would need to be done is add "phone #s" as a clickable option from the menu under "Columns to Display. Note, this isn't too much of a problem because "phone #s" is a column option under the relationships tab. that said, placing it under the "conversations > sent" tab would allow us to view the phone numbers of leads that have been sent an one-off, i.e., not part of a group. These things are minor and certainly small in comparison to the overall function and performance enhancement that Toutapp allows its user. I highly recommend it Toutapp! I have tried Salesloft, Found.ly, Replyapp, and Outreach. I found that Toutapp outperformed all other products that I tried at a price point that is lower than the rest. 1. Personalization allows us to easily send bulk emails, while still maintaining a certain level of personalization, which we have found key to successful email campaigns. 2. Analytics gives us valuable insights into what works and what doesn't by offering key metrics and analytics on all the emails we send. 3. Reporting saves us time from mundane and monotonous weekly/monthly reporting because it has useful report features built in to the app. 4. Integration helps reduce the amount of information and data we have to track in separate excel files, thus freeing up more time to do the work that matters most. "Excellent Tool to Increase Efficiency of Sales Team!" ToutApp makes it very easy to share templates amongst the sales team, while providing informative analytics to give insight into the templates that are successful, as well as those that need improvement. It's very helpful to see which subject lines are getting opens and which links are being clicked so that we can continuously tweak our templates to improve those numbers. It also increases the number of people that our sales team is able email in a day, so we are not only getting valuable information, but we are also getting more touches everyday. Our entire team uses Macs, so we were a little bummed to find out that ToutApp does not integrate with MacMail or Outlook for Mac, but we're hoping that comes out in a new update. Since we use Salesforce, we are able to do everything we need to directly from Salesforce, so we are still able to get the full functionality without our email integration. Sending to a group is very helpful; however, the way that we have to do so by uploading individual contacts to ToutApp first is not efficient at all and almost defeats the purpose of sending a group email. This feature definitely needs some work, but even with that issue, we still send more emails than we did before using ToutApp. Additionally, we do experience glitches in the system pretty often, which can be frustrating when it effects our workflow. However, once I report the issue it is always resolved relatively quickly. This is a wonderful tool to increase efficiency and track success of the templates in use! 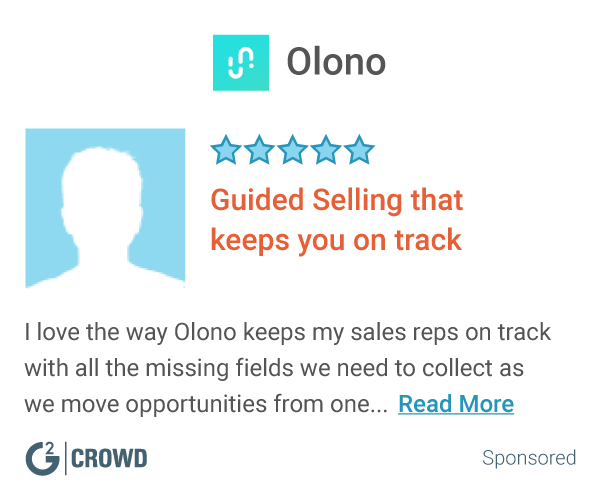 I would definitely recommend this tool to those looking to boost their sales! We really wanted to find a way to increase efficiency in our sales team by increasing the number of people that they were able to contact in the same amount of time. ToutApp has definitely helped us achieve this. Since you can schedule emails to be sent out later, we are even able to send email throughout the evening when we're no longer in the office. Toutapp allows me to manage my outbound efforts more efficiently. I can see in real time who is opening, clicking, and engaged with my emails. Analytics are great as well to measure effectiveness of messages. The template section in the tool allows me to share things that are working with my peers around the Globe. Large updates happen often without prompting. Also the Outlook plug often is not consistent which results in loss of productivity trying to get it on track. Toutapp allows me to understand if the prospect got the email or not, prior to Toutapp I had no idea if they even got the message without the tracking. The other benefit is the open forum that my peers can view what I am doing and what they are doing. Allowing for easy collaboration. "Love the scheduling feature and the tracking feature"
I really like having the ability to schedule my emails to go out at a certain time. I also like to be able to track when they open my email. It's very helpful to know if my emails are getting read or just getting deleted. The support officers are very helpful. The tracking isn't 100% accurate. I'm not sure how the technology works but I wish it was more accurate. The app shows if someone has replied but it doesn't show the reply. I have to go to my Gmail to see the reply. The tracking ability is helpful as well as the ability to schedule emails. You can also create templates and send out campaigns. I've had some success with it. The feature works well anyway. I schedule my emails to go out first thing the following morning so it's right in my prospects' inboxs when the get in to work in the morning. The tracking helps me to know if the email address I have is correct or not. I recently used the app to send out emails to all my current customers. I emailed everyone to let them know of a new integration we are offering. I used the app to automatically send out a follow-up email a few days later. The app will automatically opt recipients out of the follow up email if the recipient replies. It was very helpful and saved a lot of time. "Solid product for a growing Business Development team"
Tout has been a great product for my team at Gild. It helps us hone our messaging and track it's effectiveness throughout the campaign lifecycle. The team at Tout is always responsive and they continue to build out new features and improvements. I wish there was a clean way to distinguish between a first reply and subsequent replies in the analytics. There are a few places where the analytics could be more clear around what factors are used to determine the result. Pick the brain of your implementation team at Tout to understand how others are using the product. There were a number of things I hadn't thought of that have been really helpful. We are building a scalable Business Development team for a product that is significantly different, and our competitors generally only compete with a piece of our product. The challenge this creates is in how we communicate our product. We have to find ways to help each prospect understand what we do without lumping us in the same category with competitors that only offer a piece of the whole. Tout has been valuable in understanding the impact and effectiveness of the messaging we test. "Greatest resource for my job!" I like being able to create templates and put my prospects through a drip nurture campaign because it allows me to effectively reach out and call my prospects in the most efficient way possible. The amount of time I save on a daily/weekly/monthly basis really helps me focus on the key prospects that are ready to engage while also continuing to nurture and educate those that aren't quite ready. The ToutApp solution is hands down the best one I use currently in my day-to-day business. I wish people wouldn't respond using a different email than the one that I had set the drip nurture with. It creates a minor manual process, but that is the only part I don't like which is hard to control. The process of going through the trial phase was very easy and getting setup took very little time. It is intuitive software and our Toutapp Consultant (Brad) was very accessible and was always open to speaking with us when we had certain questions. I'm not sure of the costs, but it is worth every penny in our business. Without it, I'm not sure I'd be as successful in my Lead Development role. ToutApp email solves time inefficiencies and allows me to spend more time on the phones making those calls to prospects that are ready to engage and talk about their challenges. Overall, it creates a better process for being able to manage your leads. "Toutapp is great. Really powerful sales tool with very good Gmail/Highrise extensions"
I've tried out countless other products that offer the core features that Toutapp does: email tracking, template storage, basic reporting, basic CRM, basic personalization, Gmail integration, automated followups, and basic marketing automation. None of them has all of these features packaged as well as Toutapp for the same price. They've been making a lot of progress building out the automation tools because I'm sure their clients are wanting this. Now you can build custom campaigns that are multi-stage sequences of messages. This is great for scheduling multiple follow up messages with one click. When sifting through contacts in the Toutapp UI (which is a basic CRM type tool) it can be very slow and clunky. Seems like the architecture is light. However, this is *not* a core aspect of Toutapp. I do not use it as a CRM and I only occasionally need to do so, usually when changing someone's first name or something like that. I am mostly interacting with Toutapp from my Gmail via the Gmail extension, and this works perfectly. Other minor negatives: something funny with the footer append - I can't quite customize it like I want. Also, the Highrise integration is really excellent, except that it doesn't sync the contact's company name/position back into Highrise when a contact is added natively in Toutapp. I'm sure this is because many of their users are more Salesforce-focused. If you are using the Highrise integration like me, you have to get used to the fact that a contact must be added in Highrise at least a few minutes before you send a Tout email to them, or else you will get duplicate contacts in Highrise. It's just a syncing thing, not a big deal. I needed email tracking so I could see what leads were interested in my prospecting emails but hadn't responded yet. Toutapp has been extremely insightful in seeing how often and when my leads are engaging or re-engaging with my emails. Also, anyone who has done email prospecting knows that the 3rd, 4th, and 5th followup are essential - only about half of your responders will reach out after the 1st or 2nd email. Toutapp's automation campaigns make it very easy to add people to drip campaigns that keep following up. It's even smart enough to remove them from the automation sequence when they reply or follow up. The service was quick and the team at Tout sent me the response I needed to understand what was going wrong and why I was having difficulty. The issue turned out to be a size limitation on groups which was not allowing me to upload a CSV file. In the end, all was fixed and the information was able to get into Tout as needed. The team was helpful and friendly as always. Ideally, putting 24-hour service in place down the road would be ideal. The ability to offer round the clock service with almost immediate response would be very helpful, particularly since we are located in Hong Kong and the time difference of 15 hours or so means that whenever I have an issue at work, it is the middle of the night for the ToutApp team. If your business is sales and you are attempting to contact a large number of people at a time and want to maintain contact with them while keeping a track record of who you have reached and when, ToutApp is a good service and is easy to use. The service allows me to be much more productive at work and in keeping in contact with existing and potential future clients. Like any systems, it will require you to set up your groups and templates in a way that works best for you, but once set up, it runs smoothly and everything is easy to track. "Instant notifications on message reading/variety of templates"
-Individualized templates make e-mailing hundreds of contacts simple but still personal. -Keeping an eye on your team statistics is a good way to encourage competitiveness in the work place. -Uploading multiple contacts via CSV is messy if you need to map custom fields. It works but sort of half way. I usually have to edit the entries afterwards. This seems more like a format limitation rather than a Toutapp problem however. -Not a fan of gmail and outlook extensions. I think the service can be used best through the webpage/app. I administer Toutapp for a team of about 10 people. We use the service to increase sales goals for our inside sales and remote sales employees. Being able to send hundreds of emails with one click is very beneficial not to mention time saving. It makes establishing contacts easy. The personal touch that can be added with templates makes emails appear as if they were addressed individually. This is a good way to get and keep someone's attention. "Great way to find out who your warm and hot prospects are"
Foremost, I really like tout's ability to quickly preview and customize each email to EACH RECIPIENT prior to sending to a group. Even if it's something as simple as "Hope the office move went smoothly last week. ", it is so easy to personalize each email, and keep the main body of the template. I also like tout's ability to manage various groups, and the ease of creating templates. I'm always adding new prospects into various groups that I've set up, because it is so quick and easy. Once in a while tout will "hiccup." I'll add a new person to tout (client or prospect), and the group says that I've added a person, but when I search for the person, sometime they don't show up until hours later. I know that person was added, but can't locate them in the group. This sometimes leads me to add the person twice. :-| It's a pretty slick and swift interface, but that glitch seems to happen once in a while. Tout is easy and effective. The more you use it, the more you benefit from it. The biggest benefit to me is knowing who is a hot prospect. Tout's "Command Center" allows you to see activity and sort by the number of views or clicks. If someone has viewed my email a few times, I follow up with that person. Tout makes it REALLY easy to see how many tout emails you've sent that person, the dates of those emails, what email you sent them, did they view or click, etc. It's just nice having that intelligence to know what's happening out there after you hit Send! "ToutApp is a must have for sales teams"
My favorite part about ToutApp is being able to see who is engaging with my emails, when they are engaging with them, and how many times they are engaging with them. Knowing when my prospects are opening my emails is a huge help in terms of getting them on the phone when I am top of mind for them. This also helps me determine my outreach efforts for each prospect. The only negative thing I have to say about ToutApp is sometimes the schedule feature can be a bit clunky to use if you are trying to set up a significant number of emails to fire off at a certain time. I would rather have this feature as is than not at all though. ToutApp is definitely my favorite of the email tracking tools out there. I don't know how I would function anymore without ToutApp. I had an issue one day where I couldn't get my ToutApp to function properly and did not know where to start. Thankfully the issue was resolved much quicker than I anticipated (shout-out to the support team) and was able to get going again the same day. "Great Tool for Sales Success!" I love the ability to not only track my emails but the links I have attached in them as well. I like the integration with Salesforce and Gmail and how easy it is to set up. I also like the Live Feed because it gives you a real time view of who is looking at your emails. On very rare occasions the Live Feed says that a prospect has replied but it turns out they haven't. Also, the throttling limit was an issue once out of the months I have been using but it was a quick fix. Try it out! The information it can provide is amazing. The capabilities can show exactly how effective your outbound efforts are when you're trying to reach your market. I am able to see how effective my emails are and how small tweaks in subjects are aiding in how receptive my emails are in terms of being opened. "ToutApp - AE's dream tool"
Ever since the release of Campaigns within Tout, my team has the ability to dramatically reduce the amount of admin work within Salesforce and double their prospecting efforts each day. This tool frees up their time to do what they enjoy doing, selling! Because this is a new release there is a few bugs that come with it. The pros definitely outweigh the cons, and the Tout team is working hard on fixing these for us. I would highly recommend this tool for Account Executives. Does exactly what an AE needs it to do, help prospect into new accounts without all the time and admin work. More time to do what an AE loves to do best, sell! The biggest issue for our organization and our sales people is having the time to sell while still building a pipeline. With an tool like Tout, we are starting to see the amount of time it takes to do all this admin work in Salesforce, shrink which frees up time to prospect into more account, which equals more sales. "Essential Tool for Email Marketing"
Really takes a lot of the headache involved with email marketing out of the picture. Great analytics that allow us to see which emails are working and which ones are not. I love their Outlook add-in that gives real time data and has all of my templates in an easily accessible place to blast out when needed. It allows my team to spend less time writing emails and more time closing business. When I've emailed their support team, they resolved my issue or answered my questions very quickly. I actually enjoy getting their marketing emails (something I never thought I'd say about any company) as they always have useful info about becoming better at sales/marketing or new products they've launched. I highly recommend this company to anyone who is looking to make their life easier. I have yet to have any problems with them. Better time management and more efficient email campaigns. "Critical to the success of a sales team"
Being able to track user engagement in real-time is an extremely valuable tool. For those who are aggressive salespeople, knowing when a people is viewing your email, followed by calling them immediately is a great way to capture someone's attention at that moment. Templates with scheduled emails allows me to use time on other assignments and not have to worry if I am missing a critical follow-up. Someone of the settings are a little difficult to get working. I had trouble getting my emails BCC'd to SFDC for a while. Additionally, I have yet to figure out how to get ToutApp to work after I made a new email alias. When I send email from my new alias, I get an error message that my email could not be copied to SFDC because the new email address I am sending it form does not have permission to do this task. It is definitely the best email management tool available to the market right now. Simply put, ToutApp allows you to work smarter, not harder. I have noticed that I am now crafting emails that are more likely to be opened and engaged with after reviewing what emails have been successful. Simple to use solution, high adoption rate across the team. Fairly simple to use, was able to get a 55 year old colleague trained up and using the software in a day. Real time visibility into opens, location and device is extremely helpful to both SDR's and closers. Easy way to filter the signal from the noise and know who to follow up with first. Having transparency across the team to see number of emails and how you are stacking up with your emails comparatively is extremely helpful from a managerial standpoint. Benefits realized is automating our entire inbound campaign. Being able to standardize templates across the team is very helpful, gaining more visibility into how our emails are performing. A/B testing emails with different reps, understanding what is working best, and being able to understand through the analytics tab which has a higher open rate, click through rate, or response rate so that we can make informed decisions on which to standardize on. Tout automatically tasks e-mails to Salesforce saving so much time. I love how the e-mail button shows up next to each e-mail on the pages that I am viewing this makes it easy for me to connect with clients and never leave the page that I am viewing. Niko is the best personal assistant anyone could ask for! Tout also helps me identify when clients are interested in the e-mails that I am sending by showing the amount of clicks and views I have for each one. I utilize this data to help me prioritize my day by identifying high priority clients. I do not know which fields in SF tout is pulling client name/business name for and sometimes they do not load. When this occurs a warning message will pop up before my e-mail is sent so I can manually enter the information. Easy to use the app. A must for anyone who communicates with large groups of people. With tout I can communicate with specific clients and document everything in my CRM in real time without adding the tasks myself. This saves hours of work each week. It also allows me to reach out to at least 50% more clients by saving me time with documentation. Tout also helps to prioritize my leads by identify those who are the most engage and shows me who hasn't opened the e-mail so I can utilize other contact methods to reach out. "ToutApp streamlines my day to day activities"
The ability to organize all of my reach outs in one easy to use platform makes organizing my day to day activities much easier. Not only do I love the ability to create email templates to use in mass reach outs to prospects, but I find the task organization tool far superior to Salesforce and use it to manage all of my prospects and how/when I reach out to them. There is still some work that needs to be done on the UI. I do find bugs in different areas of the apps and everything is not as consistent as I would like. I would like a better flow between leads, tasks, emails and tracking so things can become slightly more unified and easy to access. Ability to reach out to more prospects with standardized messaging while focusing on the ones who are engaged in my emails. "Solid Tool for my Team"
ToutApp is a really great tool for my SDR team; we previously used Marketo Sales Insight for our prospecting efforts but the emails had too much of a Marketing feel to them. With ToutApp, it's easy for the team to personalize and prospect at scale. One glaring omission to this product is the inability to log incoming emails into Salesforce.com (the kind of functionality inherent to Salesforce/Outlook integration or that which appears in a tool like Cirrus Insight. I wish one could export the analytics! Also, we routinely hit throttling limits when using our own server to send emails. Our Sales Development team is using ToutApp for sales drip campaigns with inbound leads and for messaging and scheduling initial meetings with our target accounts. Our AEs have begun using the tool to set up drip nurturing for early stage engagements where a project has yet to be defined. "Product pretty good - customer service horrible"
The platform overall is a good tool. It is most of the time easy to use and you can find what you are looking for. Customer service is horrible. They are very slow to respond to email and unless you have a corporate account there is no phone support. If you need quality support look elsewhere. email tracking and manageable consistent outreach to prospect and customers. "Great, Easy to Use Tool"
Ease of use, you can import a list and export a send within minutes. The email tracking is great. "Some very useful features, but the UI needs works"
I loved the template building feature and the ability to upload a CSV of contacts, plug them into a template and have the emails sent through my email as if I had written them all myself. Would highly recommend to smaller organizations that are trying to email 25-100 people targeted outreach. You can really personalize emails and get them out in under half an hour. The user interface is sometime clunky. Buttons would sometimes work, sometimes not. It is also difficult to know if your emails have been sent successfully. The black on blue coloring of the site is not particularly inviting, and is quite different from their initial sign on screen. Some consistency in branding would likely give the product a more polished finish. Have a chat to their support team about your issues. They will be more than happy to talk through your issues and help out however they can. Emailing small to medium sized groups of people was very easy. The dashboard summarized the outreach well and it solved the issues of emailing "via" another service by seemlessly plugging into my Gmail account with all emails being in my sent box. Sending marketing material has never been easier- my colleagues and I are able to share campaigns and send information to current clients and prospects within seconds! I especially love the ability to determine if my emails have been opened and if the links sent have been "clicked on!" If I had to name one thing it would be the multiple updates I receive- not that this is a terrible thing; it just adds one more thing for me to do! Easy to use; best adopted by their companies integrating it with Salesforce. Reaching out to existing clients and new prospects to determine level of interest in our product; I benefit from knowing if my information sent is relevant by notifications that my touts have been opened and links have been clicked on- it allows for an easier follow up conversation. "Love the live tracking feed but the rest is pretty useless and clunky." The live tracking feed almost like a stock ticker to help me makes call when I see opens. The campaign feature. Very frustrating to create and automate for multiple uses. Needs to have integration with LinkedIn and some type of VoIP services. Trying to be more effective with outreach efforts for sourcing new opportunities and engaging value prospects. Benefits realized were only regarding understanding if prospect had opened my email or not to show me how engaged they were via link tracking / attachment opening. Very helpful for understanding engagement in that respect. Adding contacts is extremely difficult. Even after you add EVERY contact it is possible that information can get jumbled up, names and categories go missing, especially when you transfer contacts from one group to another. Read everything in the guide and help section. There are no real demonstrations, but it does help with some issues. The app works differently. everyday. Tout helps keep all of our communications between customers and our team documented for easy reference. This is when it works, which hasn't been very often. "Toutapp: Great product for sales enablement"
Campaigns and the ability to see if your emails have been read within gmail. It's reporting never seemed to be correct, had no ability to successfully track my emails. I manually checked off who it showed had read my emails versus the stats they give you in the app and it did not make sense. We were looking to time calls when prospects look at our emails. It worked. * We monitor all ToutApp reviews to prevent fraudulent reviews and keep review quality high. We do not post reviews by company employees or direct competitors. Validated reviews require the user to submit a screenshot of the product containing their user ID, in order to verify a user is an actual user of the product. Hi there! Are you looking to implement a solution like ToutApp?